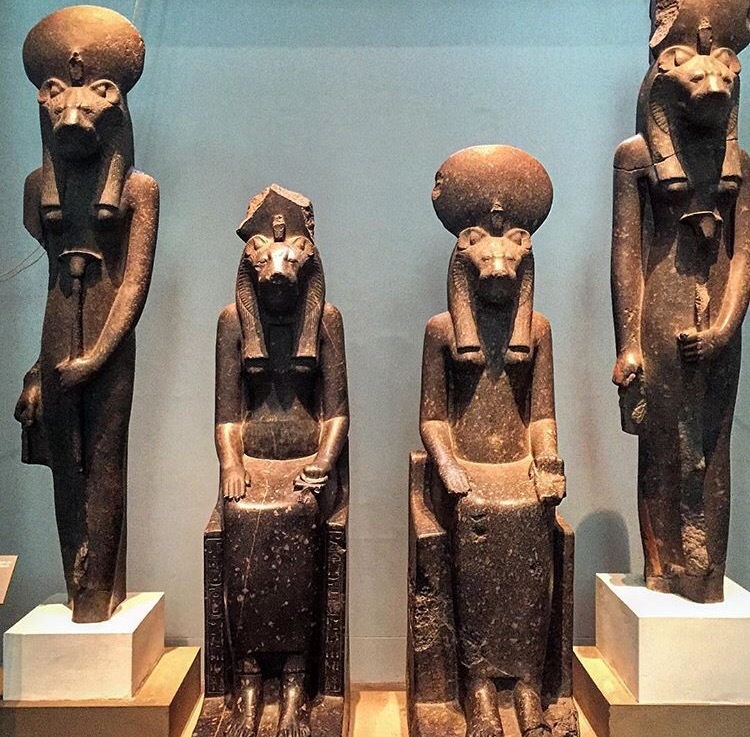 Sekhmet was a lion goddess whose name means ‘the mighty one’, and she personified the aggressive aspects of other goddesses. Sekhmet was a daughter of the sun-god Ra and she usually wears a sun-disc on her head. Myth recounts how she almost obliterated humankind for conspiring against her father’s rule. She was associated with destruction and plague, but her powers could also be invoked for healing. Like other goddesses, she often holds a looped cross and papyrus stalk; emblems of life (ankh) and flourishing (wadj). 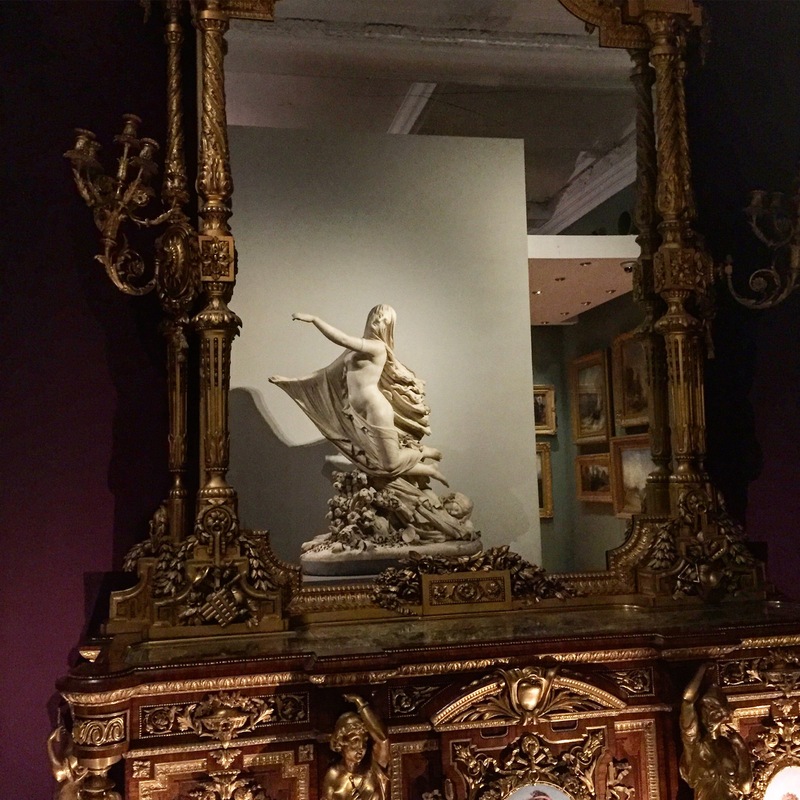 ‘The Sleep of Sorrow and the Dream of Joy’, carved marble sculpture by Raffaelle Monti (1861), reflected in a mirror at the V&A. 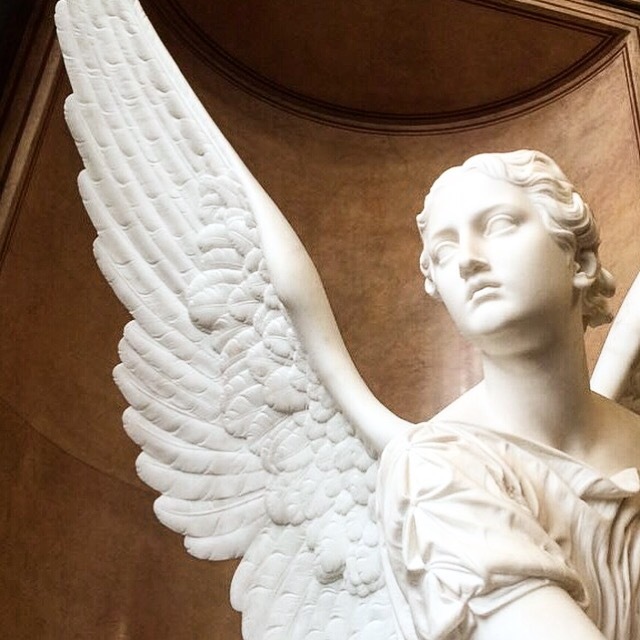 This was one of the three most admired sculptures in the 1862 International Exhibition held in London, which included the largest contemporary sculpture display of the century. Monti was an Italian sculptor who established his reputation in Britain. This work is an allegory of the resurgence of Italy as a nation in the mid-19th century. 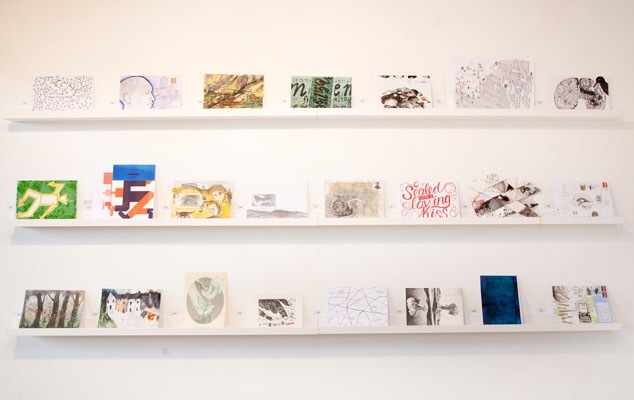 Exhibition of envelopes on which artists have created visual responses to the title ‘A Letter in Mind: The Art of a Journey’ for The National Brain Appeal, the charity dedicated to raising vital funds for The National Hospital for Neurology and Neurosurgery, Queen Square, London. 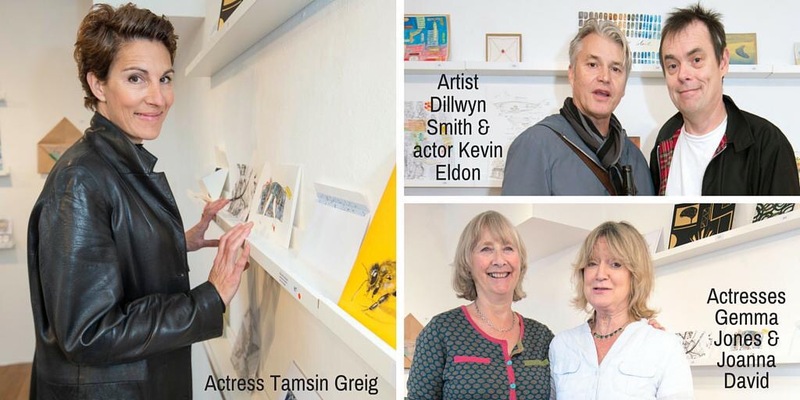 I am pleased to have contributed a piece to this great cause: you can purchase work at the exhibition or view and purchase through the online gallery. 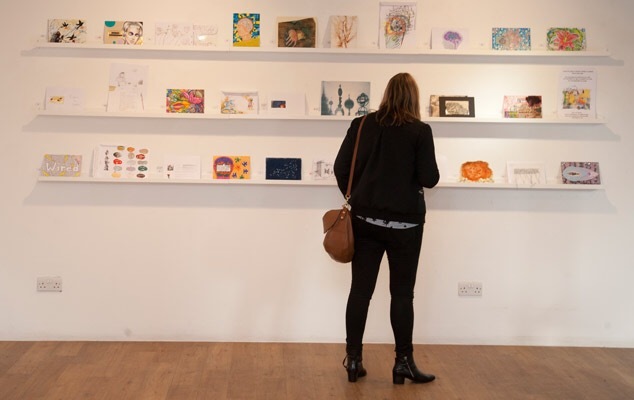 Over 200 works are on show with exhibitors including Grayson Perry, Billy Childish, painters Gill Rocca and Natasha Kidd, Harry Pye, and artist and magazine editor, Horace Panter. 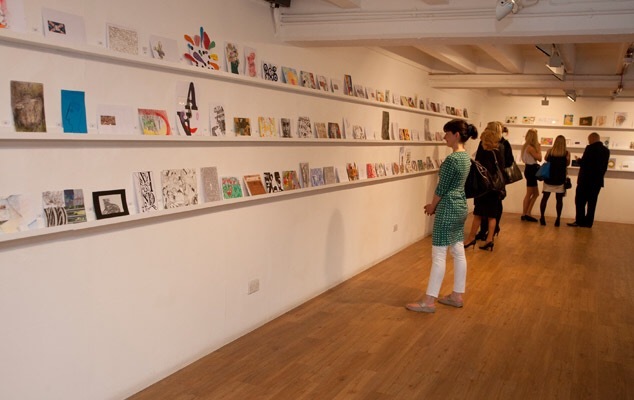 All the envelope artworks will be identically priced at £80 and sold anonymously at the exhibition in aid of The National Brain Appeal. 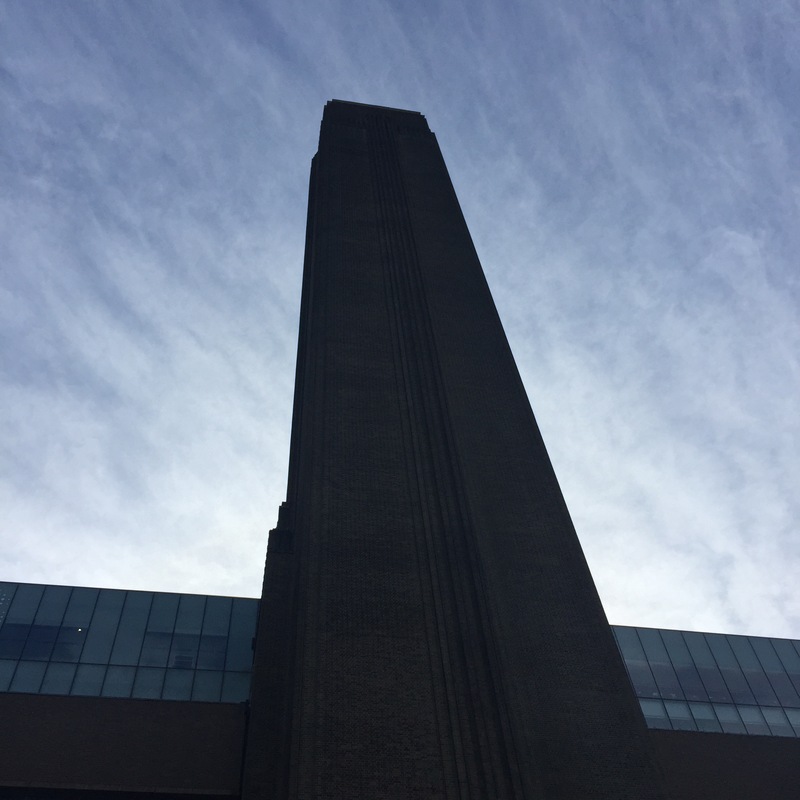 The artist’s name and biography be revealed at the end of the exhibition. The National Brain Appeal raises money for The National Hospital for Neurology and Neurosurgery in Queen Square, London − it’s the UK’s leading centre of excellence for treating diseases of the brain, spine and the nervous system − such as brain tumours, epilepsy, stroke, dementia, Parkinson’s disease and motor neurone disease. 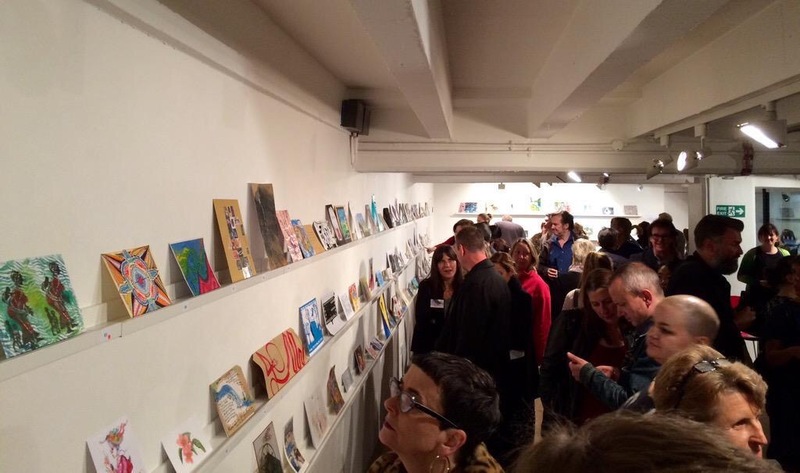 The Sheffield International Artist’s Book Prize is both the centrepiece of and inspiration for the exhibition “Opening up the Book” at Bank Street Arts in Sheffield. 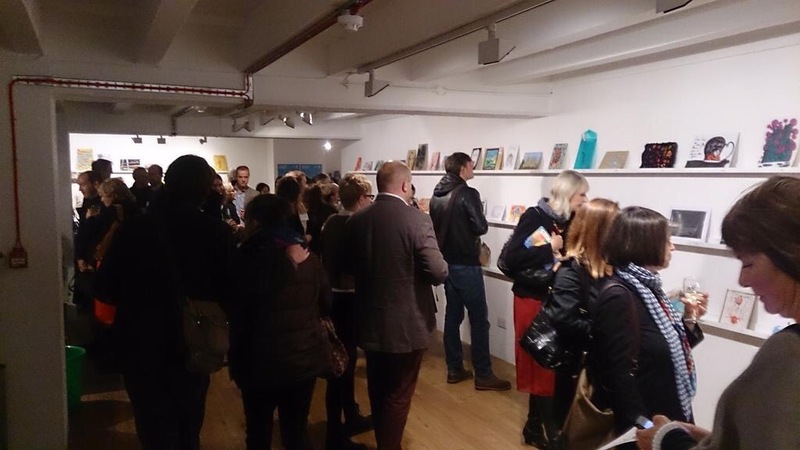 This year is the fifth edition of the Prize: the exhibition showcases over 200 books selected from nearly 400 individual entries coming from 42 different countries. The exhibition will include my piece ‘Intrusive Thoughts‘. 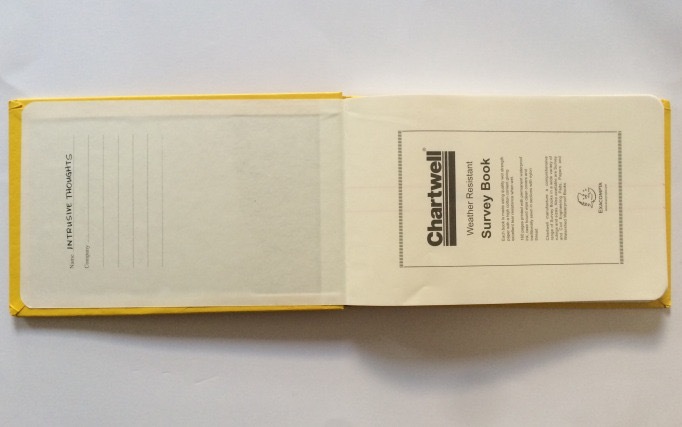 The work is created within a Chartwell Survey Book 2026. This book is a log of imagined ways in which I might die, as recorded on various days. Intrusive thoughts are frightening thoughts about what might happen to you or someone you care about, or what you might do to yourself or another person. They seem to come from outside of your control, and their content feels alien and threatening. 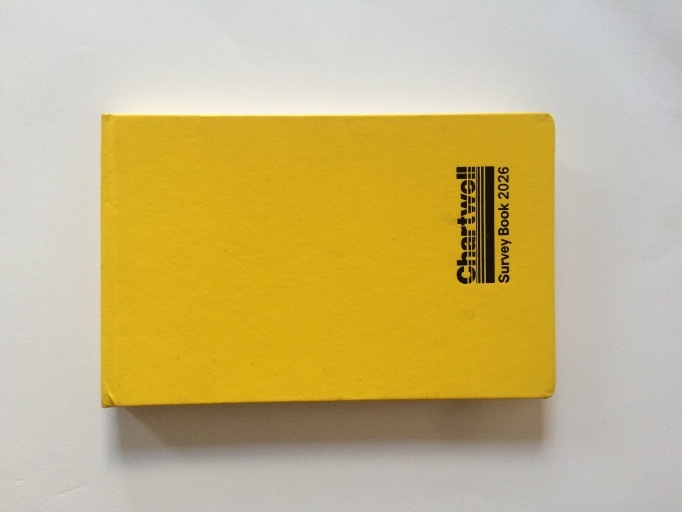 The yellow survey book serves as the perfect container to these threatening, and sometimes absurd, scenarios. 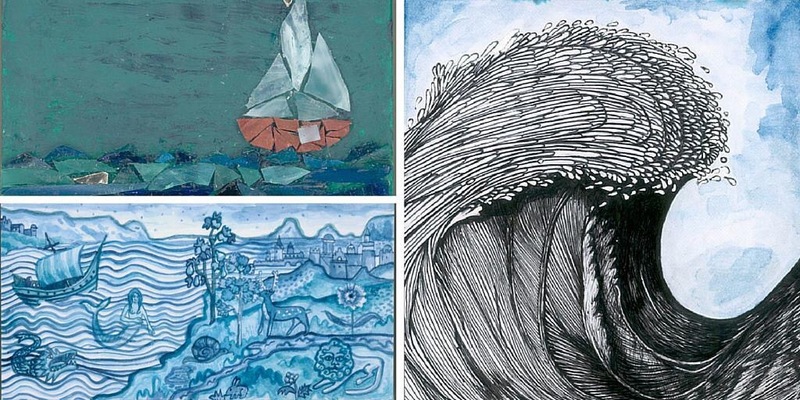 The exhibition at Bank Street Arts opens on 10th October from 16:00 and runs until 31st October.